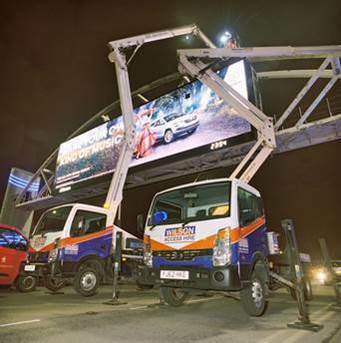 The Trafford Arch digital advertising site is owned by media giant JCDecaux and provides two digital screens on the A56, one of Manchester's key arterial routes. The site was the first in the UK to span a major road. It has a width of 46-metres and weighs an estimated 50 tonnes.